Published By – Belinda (London) Ltd. This record would have made it to Number One in the UK charts if RCA had released The Girl Of My Best Friend as the A side and not the other way round. 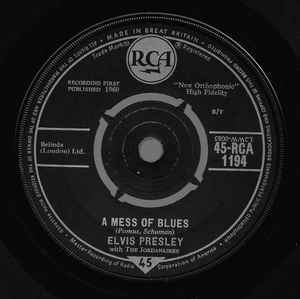 In the U.S. A Mess Of Blues was on the B side of It's Now Or Never.